This nutritious centerpiece really showcases fruits of the season! Alternate dried fruit on to the skewers. 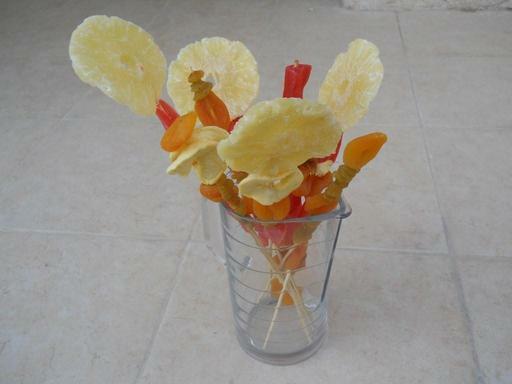 Top each skewer with a large dried pineapple (the flower!). Put the skewers into a glass vase.